Electronic Arts is furthering the Battlefield franchise with a new play-for-free version made in the same likeness of their very popular Battlefield Heroes. 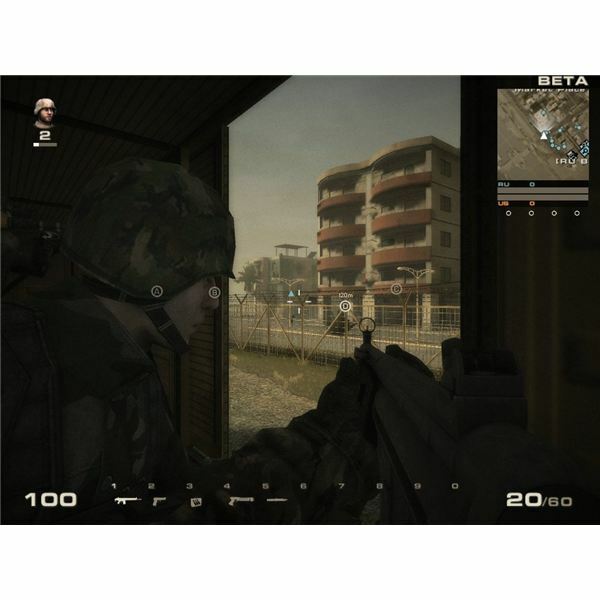 The newest game to adopt this F2P measure is called Battlefield Play4Free, and it’s based on the gameplay and visual likeness of the very popular Battlefield 2, which is still hailed as one of the absolute best in the game series. I would be hard pressed to disagree, considering that Battlefield: Vietnam is still my overall favorite but the team-based appeal offered in Battlefield 2 was unrivaled by any other game out at the time. The newest game takes everything that made Battlefield 2 popular and updated it with improved visuals and it’s also free-to-play. Find out what the game has to offer and how it works in this Battlefield Play4Free preview. The game has a fairly easy registration process and it’s equally as easy to create-a-character and hop right into the action. After clicking the ‘Play Now’ button from the website gamers are thrusts into the game. For those of you who have never played a Battlefield game before, you can select your loadout before you hit the play area, so it's important to choose wisely before running out there. There are four different character classes to play, including the age-old medic, assault, engineer and recon expert. Each class has their own specific range of starting weapons and unlockable weapons as character progress is made throughout gameplay and levels are earned either by supporting teammates, taking over bases, shooting down enemy vehicles or racking up some mean headshots. For those of you who never played a Battlefield game before there are a few things you need to keep in mind with this game: this is not Call of Duty: Black Ops or Modern Warfare. 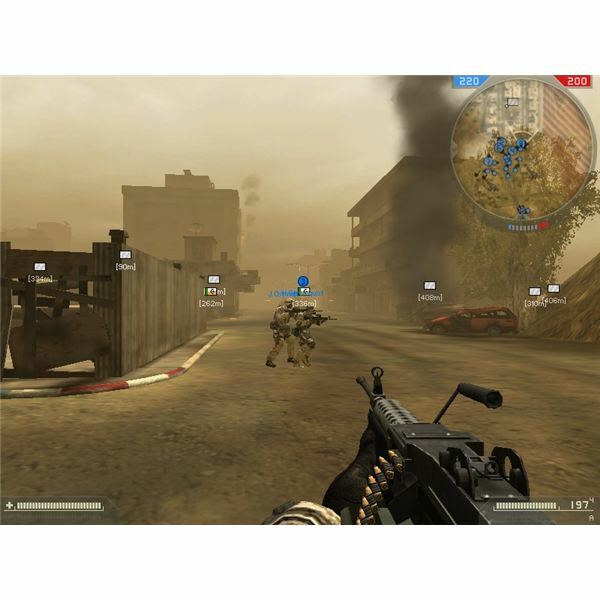 The Battlefield franchise has always prided itself on steadily paced gunfights composed of team-based combat and maps that require strategic vehicle placement and tactical maneuvers to secure a victory. What this translates to is that gamers who enjoy the running-and-gunning offered in games like Call of Duty, Alliance of Valiant Arms or Genesis A.D. will be sorely disappointed with the more realistic approach that Battlefield Play4Free takes with its design concept. 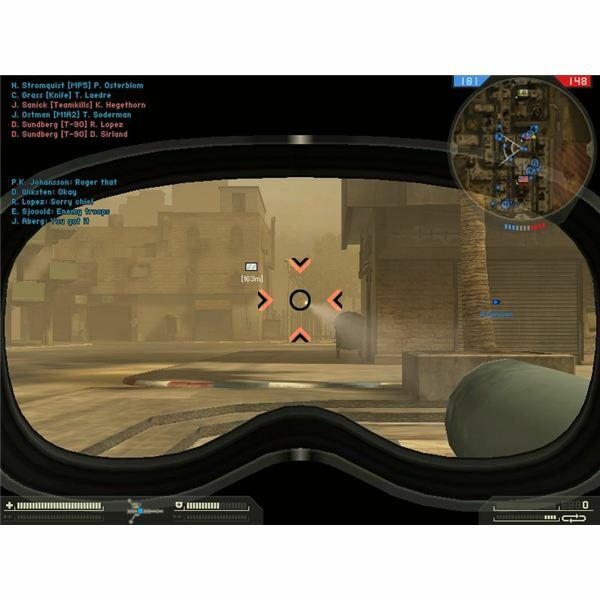 Nevertheless, gamers who thoroughly enjoyed all the heart-pounding intensity offered in games like Operation 7, Karma Operation Barbarossa, Mercenary Wars or Ghost Recon will be right home with the game. The pace in Battlefield is a steady build-up rather than a rush-in-and-shoot affair, making it a more preferred combat simulator for an older crowd or those have a taste for more simulation oriented shooters. In other words, there are no awards for nut-shots in this game. 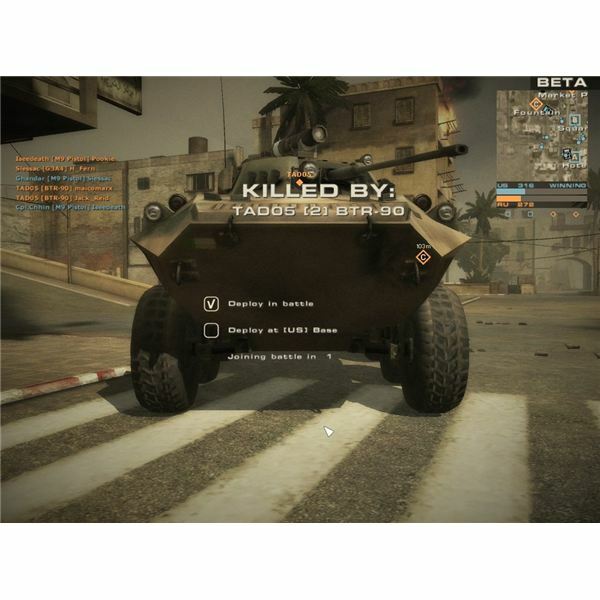 The one aspect that made Battlefield popular back when it originally released was the huge maps and fair selection of operable vehicles. This stays true to the series with Battlefield Play4Free. Vehicles perform much better than some people might be expecting coming from games like Far Cry or Halo. The handling isn’t too simulation oriented and newbies can hop in and drive around in tanks, carriers, hummers or jeeps with a fair amount of ease. Of course, with all the demolitionists out there it’s a dangerous game of strategizing how to put each vehicle to use effectively without being blown to smithereens. The playable factions in the game will each have a cache of weapons: heavy machine guns, standard assault rifles, shotguns, sniper rifles and RPGs so players won't feel a shortage of firearms at their disposal. The secondary sidearms are also particularly useful when ammo ran out on bigger weapons, usually instilling a sense of urgency to find a teammate and request additional ammo supplies. Actual gameplay balance is still the prime focal point and there’s still the requirement of having a fair amount of each soldier class on the battlefield in order to make the most of the experience. 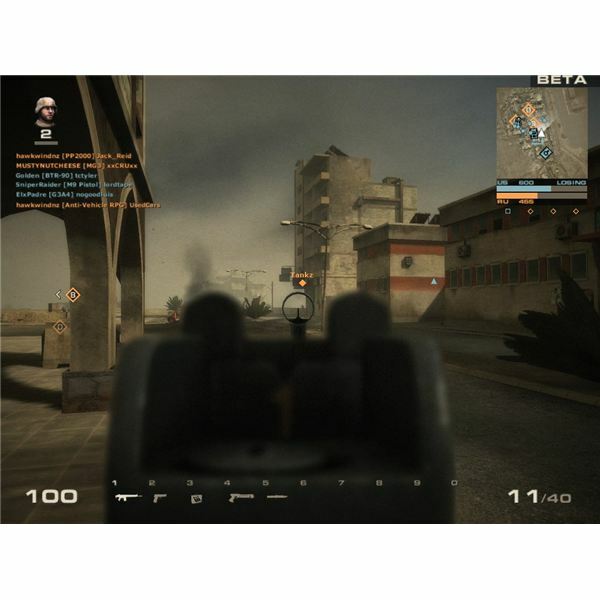 The game, as of the writing of this preview, is currently going through closed beta testing and features a popular urban middle-east map from Battlefield 2. The game is expected to go live in early 2011 and will be available for any gamer willing to partake in the experience. If the game maintains everything that made Battlefield 2 popular then it'll be shaping up to be a nice free-to-play first-person shooter for 2011. Of course, it's always been the gameplay pace that requires slightly more strategy and teamwork than other shooter titles out but that’s what makes the series standout from anything else on the market and the very reason so many people fell in love with it. You can learn more about Battlefield Play4Free or sign up to participate in future beta tests by visiting the Official Website. For a list of more free-to-play shooters be sure to check them out right here at the Bright Hub MMO Action Game Directory. 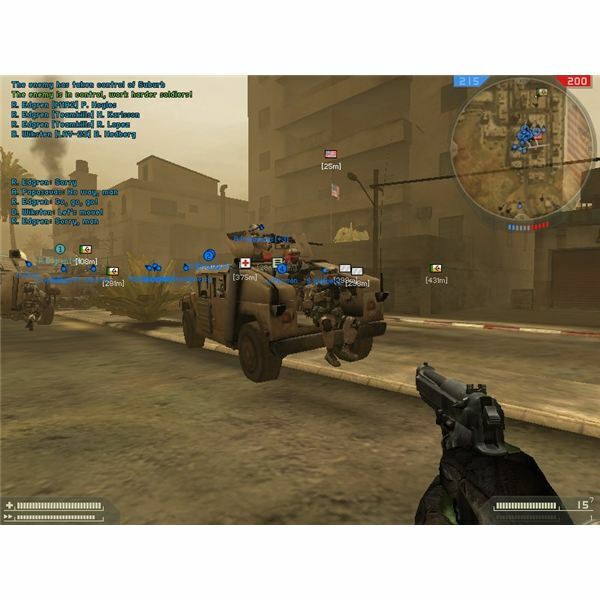 Battlefield is one of the most popular action/strategy war games on the market, with on line and single player options that have brought millions of hours of gaming fun and enjoyment to millions of gamers.